Fred Ridley, Chairman of Augusta National Golf Club and the Masters Tournament, announced today the establishment of the Augusta National Women’s Amateur Championship, which will be held annually the week prior to the Masters and will culminate with the final round taking place at Augusta National. An international field of 72 women amateurs will compete over 54-holes of stroke play. A cut will take place after 36 holes, advancing the leading 30 players to the final round at Augusta National Golf Club. In the event of a tie after 54 holes, the winner will be decided by sudden-death playoff. The first 36 holes will be contested over two days at Champions Retreat Golf Club in Augusta, Ga. Following the 36-hole cut, the final competitive round will take place at Augusta National Golf Club on Saturday, April 6.  Invitations will be provided to the winners of the following recognized events: U.S. Women’s Amateur, Ladies’ British Open Amateur Championship, Women’s Amateur Asia-Pacific, U.S. Girls’ Junior, Girls’ British Open Amateur Championship, Girls Junior PGA Championship.  Future champions of the Augusta National Women’s Amateur Championship will also receive an invitation for the following five years.  The top 30 players from the United States of America will be invited who are not otherwise qualified, based on the Women’s World Amateur Golf Ranking.  After the previous qualifications, the next 30 highest ranked players not otherwise qualified will receive invitations, as listed on the Women’s World Amateur Golf Ranking.  Remaining positions filled by invitation of the Augusta National Women’s Amateur Championship Committee.  Note: All players who qualify must retain amateur status to compete in the Augusta National Women’s Amateur Championship. Provided she remain an amateur, the 2019 Augusta National Women’s Amateur Champion will receive an invitation to the next five Augusta National Women’s Amateur Championships, the 2019 U.S. Women’s Open, the 2019 Women’s British Open, and any USGA, R&A and PGA of America amateur championships for which she is eligible for one year. 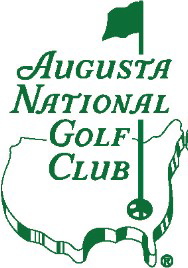 Questions or requests should be directed to Augusta National Golf Club’s Director of Communications, Steve Ethun, who may be reached at 706-667-6705 or spethun@augustanational.com.